UPDATED – Maya Bay and Phi Phi Leh West are now accessible because of better wind & waves conditions. This means that we can again visit inside Maya Bay during our dive trips! We are also excited to share the view on all Eco Tours and our authentic Private Rental Longtail Tours. News reports are not always correct as Phi Phi Leh Island is very much open for business. 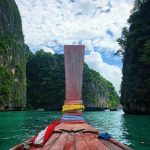 Maya Bay has been opened for boats inside the bay and you can photograph the beach in its natural state. The beach itself remains closed BUT you can enjoy stunning views from your boat, without people. The Park Rangers hut has been removed along with all signage, posters and tourist information. – Until a sustainable solution has been agreed upon, the beach will remain closed in the interest of conservation. 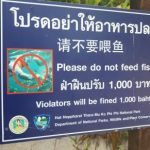 Do not let this put you off coming to Koh Phi Phi on your trip to Thailand and please come to visit and support local business. There are many other beautiful beaches and bays in the area you can enjoy during your trip! As a local here for over 14 years, I can assure you that this is the most peaceful, beautiful and stress free Maya Bay I have ever seen. 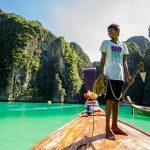 – If you want to visit Maya Bay and the surrounding beaches orbays, the BEST way is to enjoy with a local Phi Phi Long Tail Captain on their authentic long tail boat. 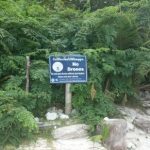 It is the best way to experience the islands and gives back to the local community who have had a tough low season dealing with less tourists coming to visit due to the Maya Beach closure. We will keep you updated, but here are some photos from this week at Maya Bay, including a peaceful protest from local long tail captains, and also shots from our dive and snorkel tours! 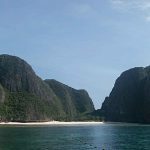 News articles have reported Maya Bay closing from June – September 2018 for coral rejuvenation but don’t worry as this decision will not affect diving trips if you are staying on the island. It may however have an impact the larger tour operators and speedboat companies based in Phuket and the mainland. 1.65 Million tourists visited Phi Phi National Park in 2017. 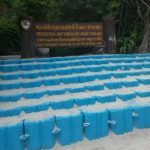 Dr Thon Thamrongnawasawat (Kasetsart University’s Faculty of Fisheries) believes closing off the bay for 4 months will ultimately benefit Maya Bay’s delicate eco-system. Boats will not be allowed to enter the bay which will hopefully help reverse the environmental impact of over tourism. 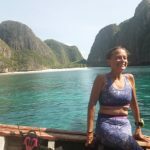 Dr ‘Thon’ has been an advocate of the Koh Phi Phi National Park for many years. He works with government agencies and National Park officials towards a sustainable future for tourism here. 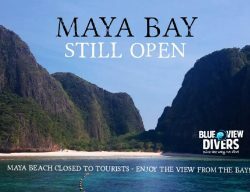 Blue View Divers believe it’s a good thing – Maya Bay closing temporarily. 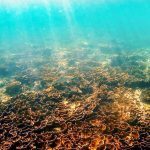 We support the decision because it is in the interest of coral rejuvenation and to give nature a rest. It will not affect our daily operations as boats cannot always access Maya Bay during these months. 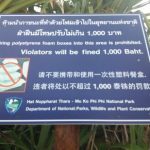 Other Thai islands are closed every Green Season in the interest of conservation and safety. We want to see the corals and beach stay healthy and beautiful! So we welcome positive decisions made in the interest of preserving natural beauty. This has already worked on Phi Phi! Maya Bay closing might sound crazy. But guess what? This has already worked on Phi Phi! Healthy corals now thrive at Viking Bay and Moskito Island where they were once under threat. Moskito Island closed several years ago due to 2010’s coral bleaching event. 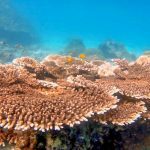 Since the closure, “Staghorn Corals (Acropora cervicornis) have grown steadily here, welcoming a wealth of marine life. Viking Bay and Artificial Reef Project has been closed to boats for over 3 years to prevent further coral damage from anchors. 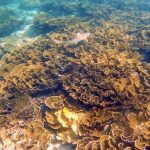 During this time we have seen new coral grow fast, especially in the shallow reef. We LOVE the immaculate Table Corals, Staghorn Coral and Elephant ear coral (Mycedium elephantotus) which are absolutely stunning! You can also see juvenile black tip reef sharks in the bay! 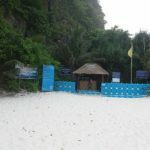 Despite what you may hear, scuba diving will not be affected by Maya Bay closing. 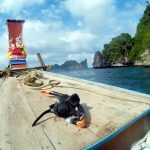 During Green Season, dive boats stay on the east side of Phi Phi Leh and Bida Islands which is more sheltered. This side is protected from the strong winds and waves coming from the west side of the island during these months. Many tour boats cannot access Maya Bay during wet season, taking guests to the calm, clear waters on the east side. 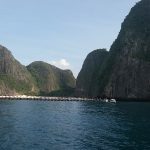 Phi Phi Don – Tonsai Bay (Monkey Beach, Shark Point), Phi Phi Leh East Side (Viking Bay, Viking Cave, Pileh Lagoon, Pileh Wall, Groupers Corner, Loh Samah) and if conditions allow – Palong, Mushroom Rock, Malong. 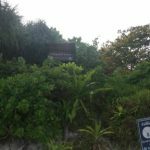 On Phi Phi Don – Relax Beach, Lohmoodee, Laem Tong, Loh Bagao, Ao Po, Shark Point. If conditions allow Wang Long, Nui Bay and Bamboo Island. 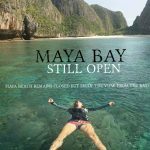 No need to worry about Maya Bay closing! 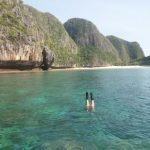 When you visit Koh Phi Phi this Green Season, local snorkel tours may adapt their itinerary to support the decision for Maya Bay closing for environmental reasons. There are many beautiful bays and beaches to visit during your trip to Koh Phi Phi! Please support local businesses and book a tour or private long tail trip around the island with a knowledgeable captain on an authentic long tail boat! Sign up for one of our local guided Eco snorkeling Tours or join us on our daily diving trips around the island! OR rent your own private long tail boat. Learn the history of the islands while visiting the best spots that are safe and exciting to visit during this time of year.